Dr. Bertrand Perey is currently in active practice at the Royal Columbian Hospital and Eagle Ridge Hospital in the Fraser Health Authority of British Columbia. The focus of his practice is hand, wrist and elbow surgery. He is Chief of Surgery and Head of the Division of Orthopaedics at the Royal Columbian Hospital and currently serves as a consultant in hand surgery to WorkSafe BC. Dr. Perey is affiliated with the University of British Columbia as a Clinical Associate Professor. He is actively involved in teaching at both the undergraduate and post-graduate levels. He is a member of the Residency Program Committee and is actively involved in hand and upper extremity surgery training for the residents of this program. Dr. Perey is a graduate of Dalhousie University Faculty of Medicine (1986) and completed his residency training in orthopaedic surgery at the University of British Columbia in 1995. After completing a one-year fellowship in hand surgery at the University of British Columbia in 1996, he performed a second-year fellowship in hand, wrist, and elbow surgery and upper extremity reconstruction at Harvard University in Boston, MA, under the mentorship of the world-renowned Dr. Jesse Jupiter. Dr. Perey is a fellow of the Royal College of Surgeons of Canada and a Diplomat of the American Board of Orthopaedic Surgery. He is a member of the Canadian Orthopaedic Association, and past section head for hand, wrist and elbow surgery and the annual association meeting. In addition, he is a past president and founding member of the British Columbia Hand Society. Dr. Perey was previously the hand surgeon for the BC Lions. ( Dr. Bertrand Perey, Orthopaedic Surgeon, New Westminster, BC ) is in good standing with the College of Physicians and Surgeons. The speaker in the video may have no association with ( Dr. Bertrand Perey, Orthopaedic Surgeon, New Westminster, BC ). 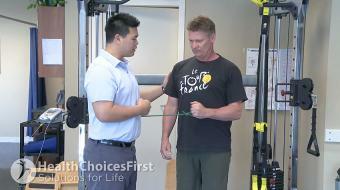 ( Dr. Bertrand Perey, Orthopaedic Surgeon ), may talk about some of the conditions and some of the treatment options shown in the videos on HealthChoicesFirst. Always talk with your health care practitioner about the information you learnt from the videos in regards to treatments and procedures the healthcare practitioner could perform and if they would be appropriate for you. Remember good information is the corner stone to understanding your condition or disease. Please contact ( Dr. Bertrand Perey, Orthopaedic Surgeon, New Westminster, BC ) to enquire if this health care provider is accepting new patients. 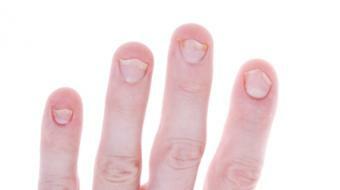 Dr. Bert Perey, MD, FRCPC, Orthopedic Surgeon, discusses trigger finger causes and symptoms. Sheila, a 52-year-old woman visits her family doctor with a three-month history of numbness affecting her hands. She notices the numbness primarily at nighttime or in the morning when she awakes. She has to shake her hands for approximately five minutes to get rid of the numbness. She has recently noticed some numbness during daytime activities such as blow-drying her hair or driving the car. Again, the symptoms are reversible and do improve when she maintains her wrist in a straightened position or uses splints for her wrist at nighttime. 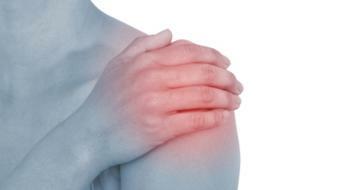 The nighttime numbness is occasionally associated with pain primarily along the palmar aspect of her wrist and forearm. Examination by her physician does not reveal any neurological dysfunction, however her symptoms can be recreated by maintaining her wrist in a flexed position for five minutes. Sheila could potentially benefit from seeing a physiotherapist for mobilization of the joints, an orthopedic surgeon to assess her condition and her local pharmacist. Also, seeing a rheumatologist may be prudent. A bracing specialist may also be able to help with joint stabilization which may help her in her daily activities. Steve is a 55-year-old man who presents to his family doctor with symptoms of pain and catching to his left long finger that started two weeks ago. The symptoms started after a weekend of using a pressure washer. He initially developed some pain at the palmar base (knuckles) of his long finger. 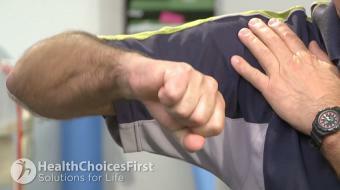 Currently, Steve describes locking of his finger in a flexed position in the morning when he wakes up. He has to manually unlock the finger to straighten it. Within fifteen minutes of awakening the locking does appear to subside. Physical examination reveals full range of motion to his digits. He does have some localized tenderness about the palmar base of his long finger along with a small nodule along the flexor tendon (the tendon that allows the finger to curl). Steve could potentially benefit from seeing a physiotherapist for mobilization of the joint, an orthopedic surgeon to assess if surgery is necessary, and his local pharmacist for pain control medications. 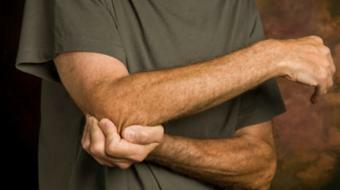 A bracing specialist may also be able to help with joint stabilization which may help him in his daily activities. Lastly, seeing a nutritionist may help Steve choose foods that help reduce inflammation caused by arthritis. , posted in: Treatment Options for Knee Pain While Gardening " Agnes a 52-year-old with medial-sided knee pain "
, posted in: Symptoms of Tennis Elbow " Dan a 38-year-old man with six-months of pain to the lateral aspect (outer side) of his dominant elbow "
See the whole conversation: Symptoms of Tennis Elbow " Dan a 38-year-old man with six-months of pain to the lateral aspect (outer side) of his dominant elbow "
Dr. Bert Perey, MD, FRCPC, Orthopedic Surgeon, discusses carpal tunnel syndrome symptoms, diagnosis and treatment. 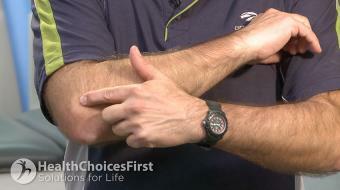 Dr. Bert Perey, MD, FRCPC, Orthopedic Surgeon, discusses tennis elbow causes and symptoms. 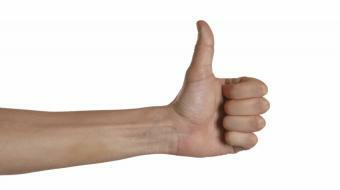 Dr. Bert Perey, MD, FRCPC, Orthopedic Surgeon, discusses thumb arthritis causes and symptoms. Dr. Bert Perey, MD, FRCPC, Orthopedic Surgeon, discusses trigger finger symptoms, diagnosis and treatment including surgical options. Dr. Bert Perey, MD, FRCPC, Orthopedic Surgeon, discusses carpal tunnel syndrome symptoms and treatment including physiotherapy, bracing and surgical options. 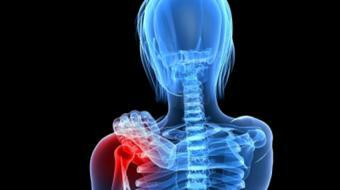 Dr. Bert Perey, MD, FRCPC, Orthopedic Surgeon, discusses tennis elbow symptoms and treatment including surgical options. I was referred to Dr. Perey by another surgeon after failed attempts of physiotherapy, cortizone injections, and MRI results that were inconclusive. Dr. Perey diagnosed me as having intersection syndrome and I was scheduled for a tendon release surgery. After viewing the videos on this site, I opted for a regional block and was able to observe the surgery. Dr. Perey did an amazing job! It has been two months since the surgery and I am slowly progressing in my strength conditioning with my hand therapist. I will be seeing Dr. Perey again in a few weeks for a follow up and look forward to his opinion on my progression. Dr. Perey really helped me fix my tennis elbow. I was given a number of different things that I could do at home to help the healing process. Dr. Perey really knows what he is doing.